Le 30 octobre 2018, dans Cercle les Échos, l’économiste Nouriel Roubini a publié un article concernant la blockchain et les cryptomonnaies. Les propos de l’oiseau de mauvais augure sont articulés autour de deux thèmes : les ICOS et TGE sont des « arnaques » et la blockchain ne sert à rien. · Le bitcoin a baissé depuis son plus haut. C’est vrai et par définition, en effet on aurait pu dire qu’il a monté depuis son plus bas. Roubini veut mettre en avant la volatilité dans l’année. Cependant, depuis le 5 septembre 2018, la stabilité des prix de Bitcoin a été telle que Wall Street fut plus volatile que les actifs numériques. De bons vieux marchés financiers sont sensibles à : la hausse des taux d’intérêt, aux manipulations de la Fed, aux guerres commerciales, aux tarifs douaniers et même à l’incertitude sur l’Italie et Brexit. (Étude à lire pour bien voir le panorama complet de ce qu’il s’est passé autour des TGE depuis quelques mois. · Les Blockchains deviennent privées. Pour Roubini, les blockchains deviennent de plus en plus privées, contrôlées par de petits nombres d’acteurs, et pour ceci, ne constituent plus une vraie innovation économique. Mais Roubini ne prend pour référence que l’utilisation de la blockchain en interne dans le cadre de grandes entreprises. Quel dommage! C’est un biais évident. Certes, certains projets déclinent un peu de « centralité » pour pouvoir mieux se marier avec l’héritage entrepreneurial, mais je pense que Roubini ne prend pas conscience de la révolution qui est en cours avec des entreprises qui acceptent de travailler entre elles dans un même secteur en partageant des données, des processus et de la valeur. Il sera surpris de voir ces groupes d’entreprises qui créent une valeur écosystémique plutôt qu’organique….même si nous savons tous que c’est un pari difficile. Great discussion with Jean-Luc Chetrit president of UDA ( Union des Annonceurs ) and Benjamin Grange ( President of Dentsu-Aegis Consulting) concerning the new paradigm in advertising. Great sharing with Benjamin Eymere ( Jalou Group ) who is currently in the process of tokenize his business for the magazine L’Officiel. AdChain is an open protocol on Ethereum’s public blockchain. Its stated goal is to allow for building of decentralized applications, specifically for use in the digital advertising ecosystem. Adex is a decentralized ad exchange that utilizes Ethereum to address problems like fraud, privacy, and consent in the digital advertising space. Faktor is a blockchain-based identity management platform that can be utilized by publishers, advertisers, and individual users. Kochava is introducing the XCHNG platform, an open-source digital advertising framework based on blockchain technology enabling the industry to operate on common rails. The Basic Attention Token (BAT) utilizes the Ethereum blockchain to create a token that can be used to obtain a variety of advertising and attention-based services on a purpose-built platform. Un interview de 18′ ( très long pour ce format 🙂 ) pour passer en revue l’état des lieux des ICOs en France suite à la parution d’un baromètre des ICOs en France. Nous avons eu la chance de pouvoir également remettre ce baromètre en avance de phase au gouvernement dans le cadre du rapport Landeau remis à Bruno Lemaire la semaine dernière. Il est largement utilisé et figure même en annexe du rapport. La semaine dernière, Jean-Pierre Landau, sous-gouverneur honoraire de la Banque de France, remettait son rapport sur les cryptomonnaies à Bruno Le Maire, ministre de l’Économie et des Finances. Très attendu, le document met en lumière une position finalement plus souple que prévue sur les monnaies virtuelles. Parmi les questions abordées dans cet ouvrage d’une centaine de pages, figure en bonne place celle des ICO. De plus en plus utilisées, les ICO (Initial Coin Offerings), c’est-à-dire des levées de fonds en cryptomonnaies, sont devenues des moyens faciles pour les entreprises du monde entier afin de lever des millions de dollars en l’espace de quelques minutes, à l’image de Telegram. Si ce mécanisme de financement est déjà très populaire en Asie et aux États-Unis, il commence à prendre de l’ampleur en France. Un essor auquel s’est intéressé la banque d’affaires Avolta Partners pour éclairer la mission dirigée par Jean-Pierre Landau. Dans son Baromètre des ICO en France, Avolta Partners s’est ainsi attelé à dresser un état des lieux des levées de fonds en cryptomonnaies effectuées dans l’Hexagone. Entre 2014 et 2018, et essentiellement au cours de ces 18 derniers mois, la banque d’affaires a identifié 16 ICO domiciliées en France et possédant une équipe française, qui ont permis de récolter environ 130 millions de dollars, pour un peu moins de 340 millions de dollars de valeur réellement émise sur le marché. 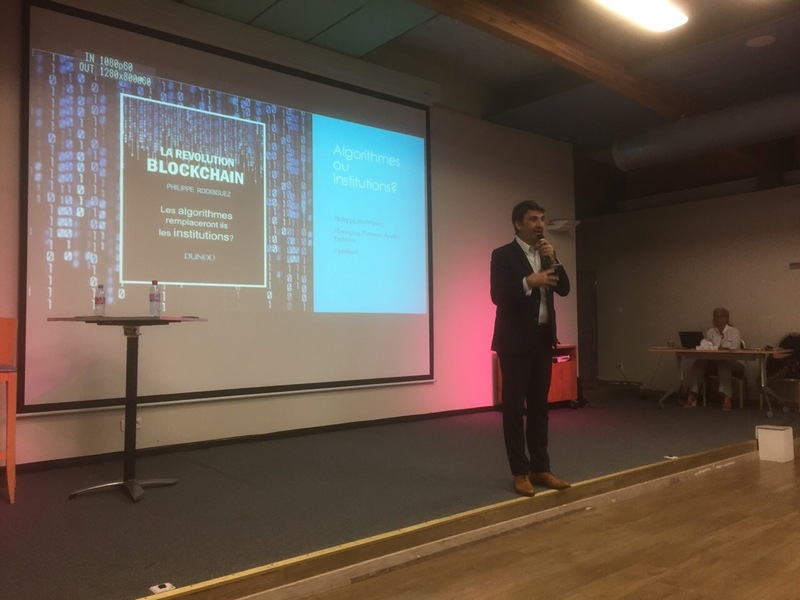 Une discussion sur blockchain avec Franck Guaider de l’AMF et d’autres experts lors du forum I2F 2017. I²F 2017, une 3ième édition toujours plus riche, intense, parfois surprenante, toujours stimulante, sur cette question centrale de l’innovation dans la banque finance et assurance. A travers cette journée, nous avons pu constater à quel point les formes traditionnelles de transformation, fondées sur les méthodes traditionnelles et une orientation top-down ne semblent plus adaptées au monde d’aujourd’hui. Le secteur de la Banque Finance Assurance se transforme, ou plutôt, il se ré-invente, grâce au digital et par un engagement au plus près des utilisateurs. Interview for the PSL university review. Paris Innovation Review is an online-only magazine published in English and French. With authors from both business and academic expertize, it is PSL’s magazine for decision-makers around the world Paris Innovation Review’s articles reflect independent thinking and rigorous analysis. We aim to debate major issues in a world undergoing a wave of innovations of all kind (social, technological, managerial). 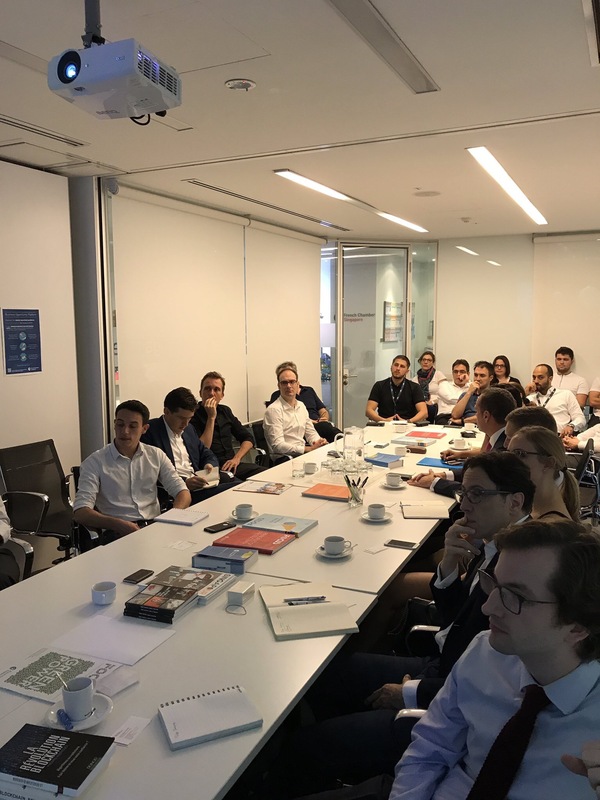 Paris Innovation Review is the heart of an international network involving two regional editions (China, Africa-Middle East) and others coming, as well as partnerships with Knowledge@Wharton, McKinsey Quarterly, Telos-eu and L’Ecole de Paris du Management . Paris Innovation Review is free whether you subscribe or not. Subscribers receive a weekly email newsletter as well as special articles. As the underlying technology used in Bitcoin, blockchain is shaking up our centralized institutions, which held until now a monopoly on the creation of SELRES_2a64f2c0-98ef-4b2f-858d-b8b71fdb8e2btrustSELRES_2a64f2c0-98ef-4b2f-858d-b8b71fdb8e2b. 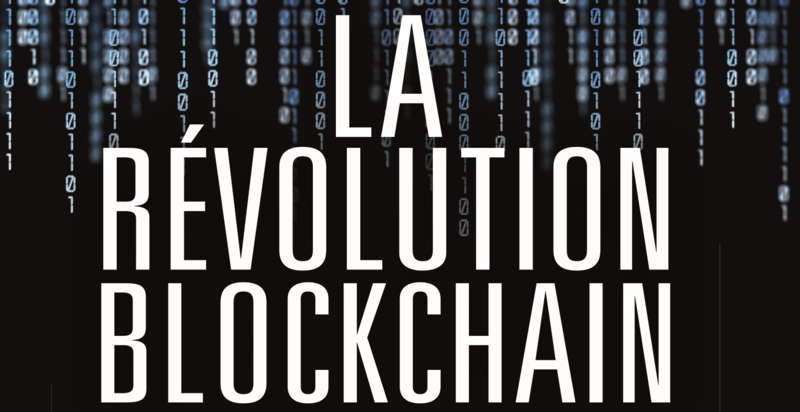 By allowing to build trust without a central authority, this ground-breaking technology will contribute to meeting the challenges of the great transitions of the 21st century but also change the organization of our societies, argues Philippe Rodriguez in his book “La révolution blockchain” (The Blockchain Revolution). 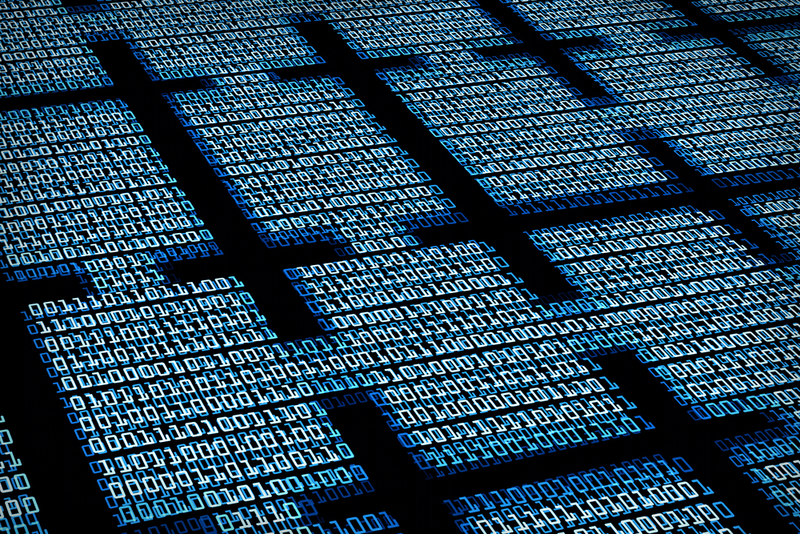 The Initial Offering Corner (ICO) phenomenon is a striking example of the impact of blockchain on a business sector: the process of capital raising may well be revolutionized. The blockchain revolution shakes the established order whereby institutions played the main role in disseminating trust in society. For the first time since the birth of institutions approximately 10,000 years ago, a technology allows to establish a system of trust that does not rely on a central authority but on all the members of the community that use it. Because we have been raised and educated in a centralized world, we feel insecure about decentralized systems. Nevertheless, it is very powerful operating mode. Given the current mistrust towards institutions, decentralized systems have a great opportunity to create a new world in which it is possible to think differently and where authority is not necessarily represented by a centralized human organization but by a combination algorithms/community. There will be great resistance, maybe even chaos, when shifting from one system to the other. 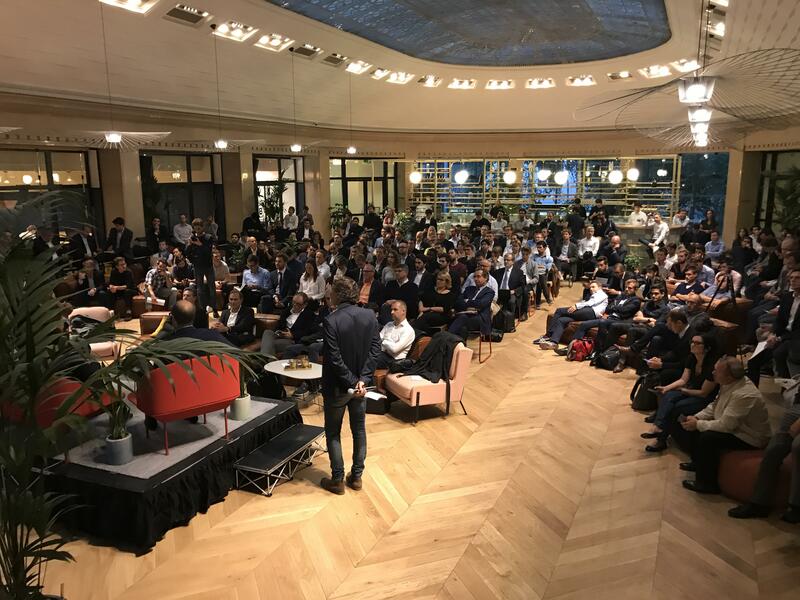 Paris Innovation Review — What makes the blockchain technology a revolution? 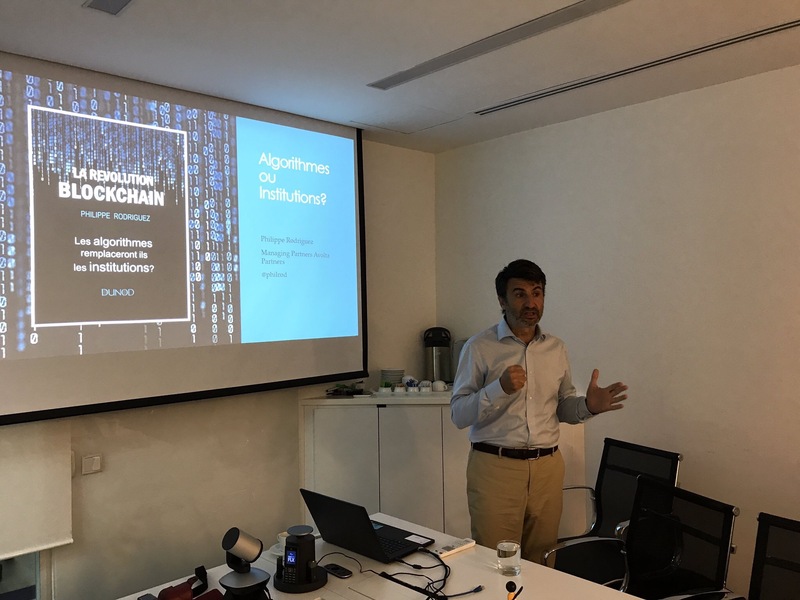 Philippe Rodriguez — The blockchain revolution shakes the established order in which institutions played the main role in disseminating trust in society. We know that it is not possible to have strong social interactions for human groups of over 150 persons. This is known as Dunbar’s number and institutions emerged approximately 10,000 years ago in order to break this limit. With the publishing of the article on Bitcoin signed by Satoshi Nakamoto in December 2008, a new paradigm was proposed to create trust. This paper demonstrates that it is possible to build a peer-to-peer money system without any central authority, fully working and in which property can be guaranteed i.e. where the same property cannot be owned by two people at a time. This is a revolution insofar as for the first time since the birth of institutions, a technology creates a system of trust that does not rely on a central authority but instead, on all the members of its community of users. At the origin of blockchain, there is Bitcoin. And at the origin of Bitcoin, there is a group of researchers who wanted to reverse the old paradigm whereby the creation of trust requires a central authority. Interestingly, the creation of blockchain is not based on a stroke of genius but on a very elegant combination of pre-existing technologies such as hashing, timestamping, etc. The founding paper is very short: the solution was found by combining components of crypto, open source and mathematics. Can we say that blockchain technology has now freed itself from Bitcoin? If you ask someone to explain how blockchain technology works, they will probably respond by explaining how Bitcoin works. The word blockchain doesn’t appear in the 2008 Bitcoin paper in which it is described. The only expression that appears is “chain of blocks.” The semantic shift took place in 2015. It was operated by those who were interested in blockchain technology but not in Bitcoin, which had gained a wide reputation. “Bitcoin is bad, blockchain is good”, would they say. In fact, this statement is quite hypocritical: blockchain only works because of Bitcoin. That is, if the Bitcoin blockchain is as powerful in terms of security, it is because Bitcoin supports it. Indeed, for the system to be very secure, it must be open and unpermissioned i.e. anyone can bring in computing power to secure the network. To do this, you have to pay those who bring power. This implies a unit of account and therefore, a cryptocurrency. Without that, you get closed systems that have security problems because, on the long run, there are significant risks that they will be centralized. What is your view on private blockchains? In technological terms, they are called DLT (Distributed Ledger Technology) or permissioned blockchains: systems that use an open technology to do something private. A parallel can be drawn with the Internet and the intranet. In itself, an intranet is neither good nor bad. It just responds to the need for a closed network in which participants are known. But the intranet is a sub-family of something larger, which is the Internet, and innovations come from the Internet, not the intranet. Likewise, closed blockchains are useful to certain communities and are not in opposition to open, unpermissioned blockchains which allow everyone to bring in computing power and have a truly decentralized system. 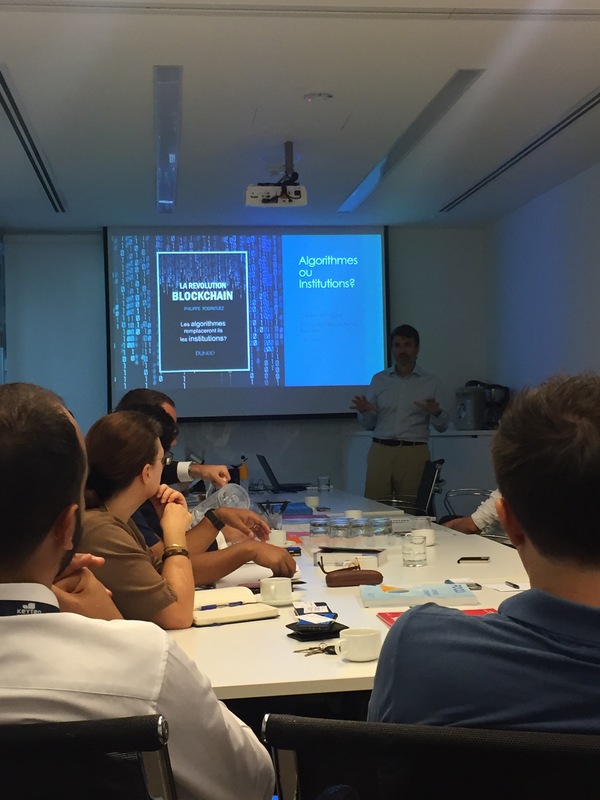 In your book, you are convinced that the blockchain technology can help meet the challenges of the great transitions of the 21st century, whether demographic, ecological, numerical, monetary or even democratic. How exactly? Let’s take the example of the energy transition, an absolutely fascinating one. We are currently seeing the development of free-floating mobile entities, such as electric scooters in open access in cities, powered by what smart grids. Energy networks will increasingly look like the Internet. More and more people are able to produce energy and have no interest in selling their electricity to a central company. All of this requires units of account, trust and completely decentralized organizations, all of which are possible thanks to blockchain technology. Another example of democratic transition is that electronic voting is difficult to implement because it is centralized. The only way to make it work is to entrust it not to a single centralized organization but to an open source algorithm, auditable and within a decentralized system. This is the paradox: we intuitively think that institutions are the guarantors of trust and at the same time, we distrust them. That is why I am talking about a revolution and not an evolution. We have been raised and educated in a centralized world and therefore, feel insecure about decentralized systems. Nevertheless, it is very powerful operating mode. Take Wikipedia, a wonderful example of decentralized organization. Thirty people work there full time and it is one of the ten most visited websites in the world. It could be compared today to a common good of mankind. Wikipedia, with its decentralized system, realized something that had never been achieved using a centralized system. Before, encyclopedias were hard enough to disseminate and almost impossible to publish in many languages and countries. When Wikipedia started, most analysts thought its chances were slim. This example shows that our culture is evolving, even if it remains totally unintuitive for us because we learned at school that we live in a society of trust, primarily thanks to our institutions. But given the distrust towards institutions today, the system seems ripe for change. This is the paradox: we intuitively think that institutions are the guarantors of trust and at the same time, we distrust them. I am speaking of institutions in the broad sense: political institutions, banks, the euro, the European Central Bank, the EU… Given the current mistrust towards institutions, decentralized systems have a great opportunity to create a new world in which one can think differently, where authority is not necessarily represented by a centralized human organization but by a combination algorithms/community. There will be great resistance, maybe even chaos, when shifting from one system to the other. Let’s get back to Bitcoin. In your book, you stress the risk of an Asian oligopoly on the mining market. Where do you think this cryptocurrency is heading to? I am quite confident about Bitcoin as it is supported by a very solid technology. Bitcoin provides a highly anticipated and acclaimed service, and also, following my societal analysis, one that is needed. There are some risks of centralization due to organizations that tend to regroup. But this risk was known from the start of Bitcoin and the community tends to self-regulate itself. There is a negative feedback mechanism: the more the system is centralized, the lower the price of Bitcoin. So it’s a lose-lose situation. China has a lesser impact today. It was the underlying electrical factor that explained in great part this centralization, since China offered the most interesting mining location, cost-wise. With the raising price of Bitcoin, this situation is changing and other geographical areas around the world are becoming interesting for mining. Is there any way to replace the proof of work, that many criticize in terms of carbon footprint? There are lots of ways to change the proof of work. In particular, by replacing it with a so-called proof of stake. Instead of bringing in computing power, we prove that we share enough of the common unit to be part of the transaction verification algorithm. The proof of stake also has defects of its own: it is less secure but this does not prevent more and more cryptocurrency blockchains from using it. Bitcoin, on the other hand, continues to be based on proof of work. How does this new cryptocurrency financing mode based on Initial Offering Corner (ICO) work? Bitcoin is divisible ad infinitum. A bitcoin unit can be divided into as many pieces as one wishes and tagged with a certain color to make tokens. In the chain, these tokens are recognizable and identifiable as “threads” of the original cent. Take the example of a group of neighbors that wishes to build a park. They create one million tokens and a smart contract whereby every time a person sends money, they receive tokens in exchange. It is possible to set any kind of rules, such as waiting to reach a certain amount of tokens before distributing them. It is like a crowdfunding system except that no organization deals with it, only software. Tokens will also be listed on a market where it is possible to buy bitcoins or Ethereum. It resembles a financial security but there is no guarantee of return as interest or dividends. It is rather a digital asset but which can also serve as basis for governance. To continue with the example of the park, the day when you have to decide of the color of the slides, you can have all those who have tokens vote, each with as many votes as the number of tokens they possess. In the last six months, several companies have received up to 250 million euros just by selling their tokens. 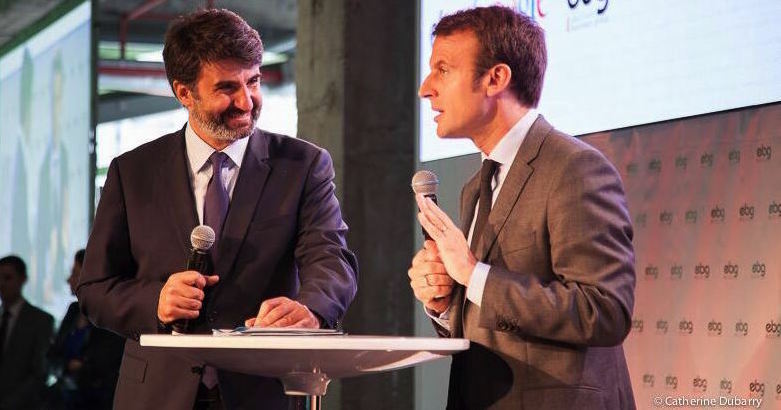 That’s a lot of money, especially for companies that only offered a Powerpoint presentation… This year, 2.2 billion euros were raised through this system, that is to say, as much as the overall investment in start-ups in France over the same period. The interest for ICOs has therefore deepened. Many companies think: why not me? They are huge. First of all, there is the issue of regulation. Regulators around the world are starting to take an interest in ICOs. According to them, it is illegal to raise money and create securities outside the stock market. For its part, the blockchain community believes that if they want to create titles of Monopoly and sell them, it isn’t the concern of regulators. Is this a valid argument for you? No, because investors need some kind of protection. How can someone issue false information, sell 10 million euros in tokens, close the business and still keep the 10 million? I believe we need a mix of regulation and self-regulation. National markets regulation authorities will not be able to control everything because we are talking of a global system. If these tokens truly resemble stocks or other financial securities, the same rules should apply. As for the rest, the players of these organized communities need to self-regulate themselves, like with the Internet, by setting up a number of technological standards and rules of good behavior. What is the potential of ICOs? My deep conviction is that something very interesting is happening here that will probably revolutionize the access to capital. But the form it will take will certainly be very different from what is being developed today. The vision is right but its realization is somewhat chaotic, like everything that happens around blockchain technology and Bitcoin. Voici une façon interessante de découvrir les motivations de Kik de faire ICO. Intéressant de voir comment le cours ce comporte postICO. 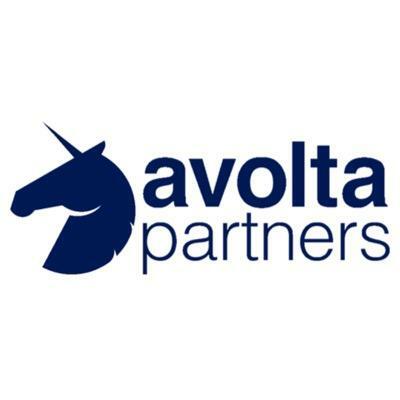 Beaucoup de contenu dans cette conférence organisée par Avolta Partners. 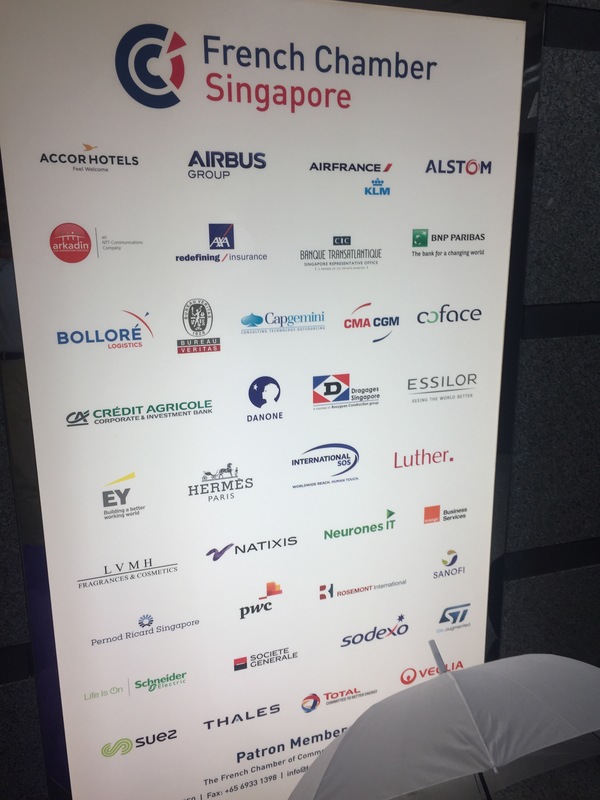 J’étais ravi de participer à la commission ICT qui planche sur les sujets de transition numerique à la French Chamber of Commerce de Singapour. 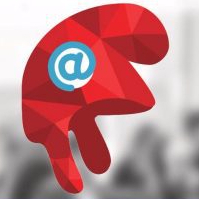 Ce fut également l’occasion de comparer les situations sur les politiques publiques en cours dans chacun des pays concernant l’emmergence des systèmes et applications décentralisées. 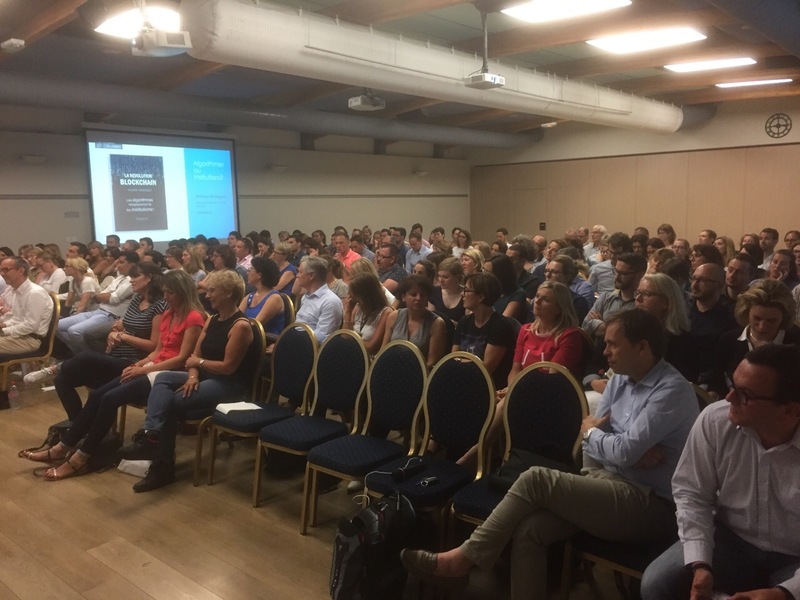 Merci à Stéphane de Miollis membre du comité exécutif de Adecco Group qui m’a donné l’opportunité de passer une heure avec une partie des managers de Adecco aujourd’hui. Sacré esprit d’équipe et une bonne ambiance, pour cette présentation qui cherchait à montrer le futur de l’entreprise dans un monde numérique qui accélère. Nous avons eu des échanges fructueux sur le fonctionnement de la confiance dans les entreprises, dans le cadre de la transition numérique de nos sociétés. Entre autres nous avons pu avoir quelques discussions sur les récentes innovations dans la transformation du monde du travail par la Blockchain. A ce titre, j’ai présenté « LA REVOLUTION BLOCKCHAIN » et ses thématiques. Merci à toute l’équipe finance de Adecco! J’ai été gentiment invité à participer au comité de directon de Axa Banque aujourd’hui. J’ai pu donner quelques indications sur ce que je comprenais du monde alternatif de la finance qui s’éloigne de l’organisation régulée. Des questions passionnantes et pleines de bon sens me furent posées. Merci à Raphael Krivine pour l’invitation.